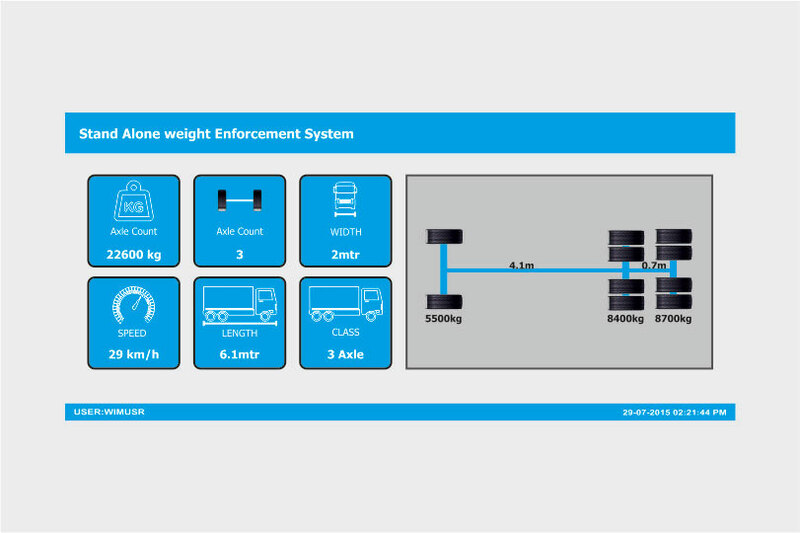 Standalone Weight Enforcement System is a unique system for the implementation of weight enforcement at Indian Highways. 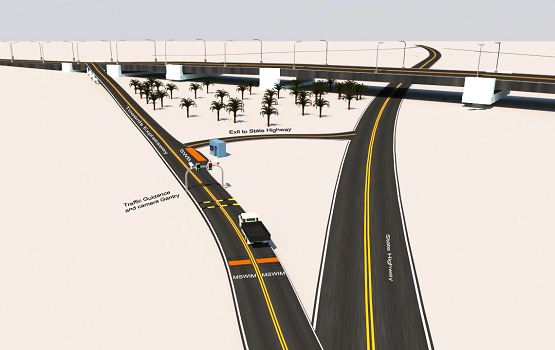 This solution will help us out to reduce overweight vehicle’s movement on highways and prevent our highways and people. Standalone Weigh-in-Motion Software is specifically designed and developed considering NHAI/MORTH guidelines and recommendation for overweight vehicles along with other consideration such as “Performance, Security, Features, Simplicity and easy enhancement”. This is a true independent Weight Based Tolling System which works very smoothly without disturbing the existing TMS functionality but cover up all expected required functionality and features. Independent Weigh-in-Motion (WIM) based Vehicle Classification based on NHAI specific Vehicle classes. Remove human/manual intervention for weight enforcement/ penalization process. Smart integration between Weigh-in-Motion (WIM) system and Weighbridge system for any transaction review. Remove any possibility of malfunction or pilferage. Independent MIS reporting for review and audit purposes.